…getting that book into the hands of readers is even harder. That is, if you haven’t already built an audience who know, like and trust you. “Whatever you want to do in the world, you need influence to make your voice count…In the simplest terms, a platform is permission. It’s the right to speak to a group about a certain topic. And there’s nothing necessarily wrong with wanting that.” – Jeff Goins, Why building your own platform is essential. To build an audience you need a platform. In this article I’m going to show you the simplest way to build a platform, even if you have a limited budget. It all starts with your author website. It’s not the best solution but it’s better than not starting or waiting to be picked by a magical patron who wants to give you lots of money to “be an artist”. Artists with platforms make a living. I could go on. It’s that simple. Though for this article we’re focusing on authors, because most worldbuilders I talk to are writing a book that they want to sell. If you’d like to learn about a platform solution then I have something for you at the bottom of the article. A home base is a website you control. This is not your social media profile, Amazon author profile or any 3rd party social network. A website is the centre of your online platform, like the capital city of your kingdom. Social Media and other profiles are then the outpost or villages for your city. They’re there to drive traffic back to your website. Not to be your main home on the web. 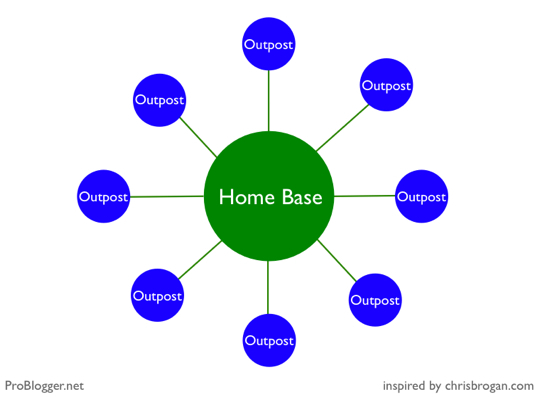 A home base is a place online that you own, that is your online ‘home’. For me I have two home bases – ProBlogger and Digital Photography School. For me my home bases are blogs but for others they will be other types of websites. Outposts are places that you have an online presence out in other parts of the web that you might not ‘own’. I’d previously being using the word ‘satellites’ to describe this but I think ‘outposts’ works better. Authors with a home base are not held ransom to the commands of giants like Amazon, Facebook or Apple. This is also true if you choose to create your world bible on a wiki such as wikia.com – sure it’s easy but you’re adding more value to their platform not your own. Even Google holds little over you when you combine a website with an email list. And, I’ll show you how to set up an email list in the future. Ideally you’d hire a web designer to help build and maintain a website for you. However, if you’re starting out and don’t want to spend much money then you can start with a cheap alternative – it’ll only cost you $120 to set up the website and then $3.95 per month for hosting. Over 23% of the web runs on WordPress. It’s free software. It has a strong community. When you’re ready to expand and “turn pro” you can upgrade your website with better hosting, themes and plugins. Still not convinced you need your own author website? They’ve published a book titled “Write. Publish. Repeat.” that lays the framework for turning your story into a business. “…there’s a problem with relying on booksellers, social media, or various other online communities for your platform. Anyone have a guess what it is? So many writers fail to understand this to their significant detriment: All of the above are examples of platforms owned by other parties, and it’s a big mistake to rely on a platform you don’t own, and hence control.” – Jonny B. Truant & Sean Platt, Write. Publish. Repeat, P230. “If you build your own platform, you’ll have a buffer against change. Facebook suddenly vanishes? No problem; you’ll still have your email list, and can direct your readers to the next great social network you choose to join.” – Jonny B. Truant & Sean Platt, Write. Publish. Repeat, P231. 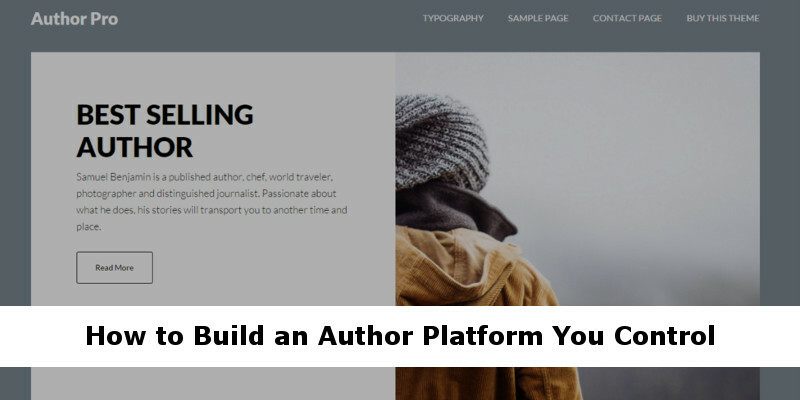 Author Pro Website from StudioPress – $99 one time fee. Do you want to write and tell stores without worrying about a website? Next month I’m launching The Worldbuilder Platform to beta customers. This is a completely done for you website service so you can focus on writing your stories and connecting with your fans while I take care of your website platform. It’s built using WordPress and The Genesis Framework. When you want something updating or adding to the website you can either login and upload it yourself or email the content to me and I’ll upload it for you. Register your interest by visiting dedicated page here.